The much loved, volunteer-run library needs to leave its current premises in Westminster Bridge Road in Spring 2019, as the building is due for redevelopment. Southwark Council have offered the collective a new building to rent, the Sojourner Truth Community Centre at 161 Summer Road in Peckham. The building has great potential and they would really like to make this a reality. However it is very expensive to move a library, and to completely refit an old building! They now need to fundraise urgently and are asking for the public’s support to help raise the £30,000 needed. 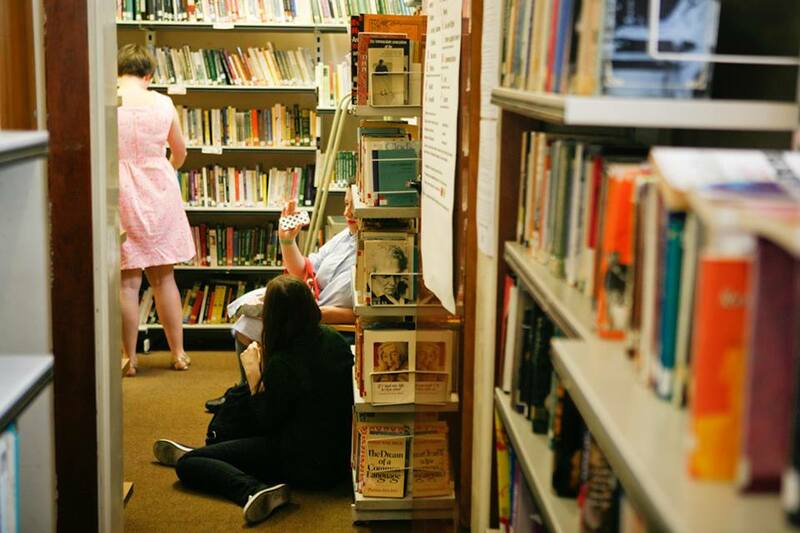 Without this money the Library may have no option but to close, after 43 years of operation. They have launched a Crowdfunder campaign, running from 16th October until 9th December 2018. All money raised will go towards fitting out the new space, moving the thousands of books that the Library holds, and the legal costs that come with the massive logistical project that is moving a library. Now however, as the building is due for redevelopment, it has no choice but to move. The management collective need to fundraise urgently for this new home, to be able to keep the Library running. They wish to ask the public to support the Library one more time to make this happen. This move is opening up a new chapter in the Feminist Library’s ‘herstory’. 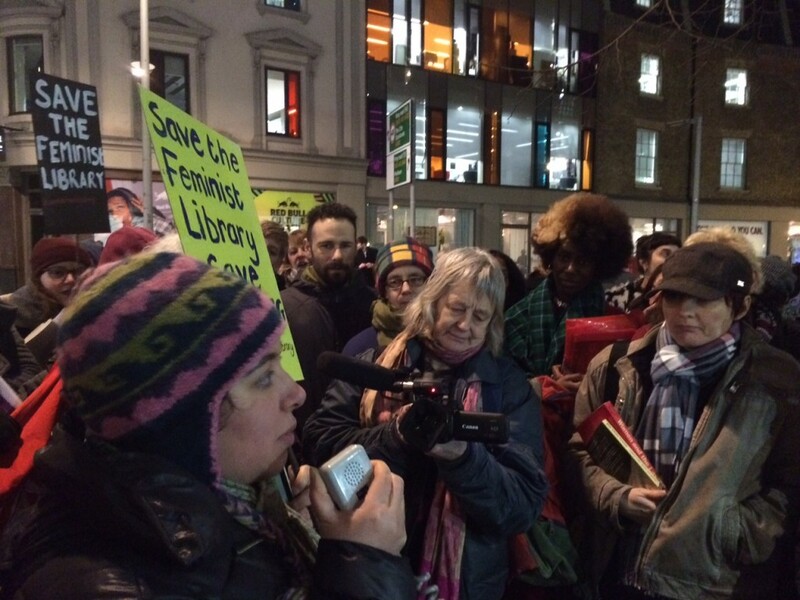 The management collective’s aim is to give the Library the secure home for the future that it rightly deserves! The proposed new space is part of the Sojourner Truth Community Centre – named after the famous African-American activist and abolitionist. It is at the heart of the local community – located on Sumner Road in Peckham and is completely wheelchair accessible. It is 1,500sq ft, which is 50% bigger then their current cramped premises. It will give substantially increased shelving space, as well as office space, and a kitchen to provide food at community events. This will enable them to build on the priceless collection and expand their vibrant community programme, as well as to have new exhibition space to showcase feminist art and archive materials. The Sojourner Truth Community is also a listed building, which will mean security for years to come, which is much needed for the Library to thrive. They will be sharing the building with a number of other community organisations, including a couple of women’s groups. 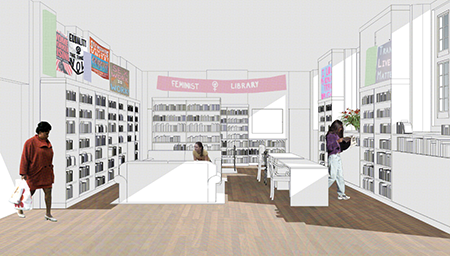 The Feminist Library is lucky to have an amazing team of feminist architects, designers and makers lined up to work on the project, who are giving their time for free to make the new space possible. The space will be designed by HI-VIS and Lucy Sanderson, and the fittings built by Power Project– collectives of feminist architects, designers and makers, who will also be teaching young women and non-binary people wood and metal work skills while making the Library’s new furniture! The Feminist Library is much more than just a library! It was founded in 1975 by a small group of passionate volunteers, at the height of the Women’s Liberation Movement, to collect and preserve what has become one of the most important collections of feminist material in the UK. It has an incomparable collection of over 7,000 books, 1500 periodical titles from around the world, archives of feminist individuals and organisations, pamphlets, papers, posters, and ephemera. It is a registered charity, mainly volunteer run and completely self-funding. It opens five days a week and welcomes visitors of any gender. It is committed to a community policy that is intersectional, non-sectarian and trans inclusive. It also provides a space in London for feminists and community groups to have meetings, readings, exhibitions and events, and enables research and activism.It supports not just archiving work, but also publishes its own zines and supports independent producers and artists. It is a vitally important community space. Email: emma@feministlibrary.co.uk with any enquiries.